For both first-timers and seasoned veterans, this year’s Women's Event brunch, featuring guest speaker actress Debra Messing, is a "can't miss." Join hundreds of women for an inspirational and empowering Women’s Event on Friday, November 18. Chaired by Corey Feinsilver, this Greater Miami Jewish Federation Women's Philanthropy event will take place at the Hilton Miami Downtown, 1601 Biscayne Boulevard. Brunch buffet will begin at 9:30 a.m. The program will start promptly at 11 a.m. and conclude by 1 p.m. Click here for details and to RSVP now. Federation’s North Dade Branch, in cooperation with the Jewish Community Relations Council, invite you to the North Dade Business Breakfast on Friday, November 4 at 7:30 a.m. at Skylake Synagogue. 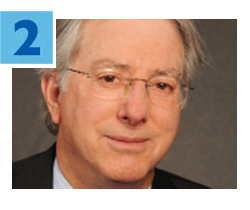 Ambassador Dennis Ross, former U.S. Envoy to the Middle East, will discuss his book, Doomed to Succeed: The U.S.-Israel Relationship from Truman to Obama. Chaired by Gary Mars and Alberto Franco, this incredible event offers the opportunity to hear a global update from a seasoned negotiator, and to network with other business leaders. RSVP by Monday, October 31. Hundreds of volunteers will soon gather for Everything but the Turkey, an annual food-preparation marathon that provides Thanksgiving side dishes for thousands of homeless people throughout Miami-Dade County. Now in its eighth year, the event is a project of Federation’s Jewish Volunteer Center (JVC). Volunteers can pitch in at Aventura Turnberry Jewish Center on Monday, November 21 at 5 p.m. or at Temple Beth Am on Tuesday, November 22 at 5 p.m. Space is limited for this popular, family-friendly volunteer opportunity, so sign up today! Read more. 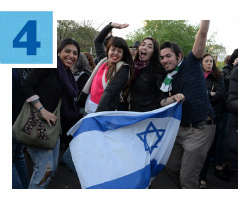 Roughly 50,000 Argentine Jews recently gathered in the streets of Buenos Aires for Rosh Hashanah Urbano (RHU), the largest Jewish cultural event in South America. Federation’s overseas partner, the American Jewish Joint Distribution Committee (JDC), launched the free event several years ago as a way to bring unaffiliated Jews back to Jewish life in a welcoming and pluralistic environment. The day included musical bands, food stands, a children’s area, art exhibits and much more. The event is now organized by Limud Buenos Aires, a JDC-founded and supported organization that presents a variety of Jewish learning events year-round. Last year, more than 150 Jewish job-seekers found employment after receiving job counseling and placement assistance from JWorks Miami, a community employment program of Federation and Jewish Community Services of South Florida. During the month of November, JWorks Miami will offer two free workshops: Interview Skills on November 1, and Networking Skills on November 14. Thanks to a generous gift from the Blank Family Foundation, JWorks Miami’s services are free of charge. For more information and to register, click here.